﻿ Da Chien Hotel, Kaohsiung | FROM $20 - SAVE ON AGODA! Have a question for Da Chien Hotel? 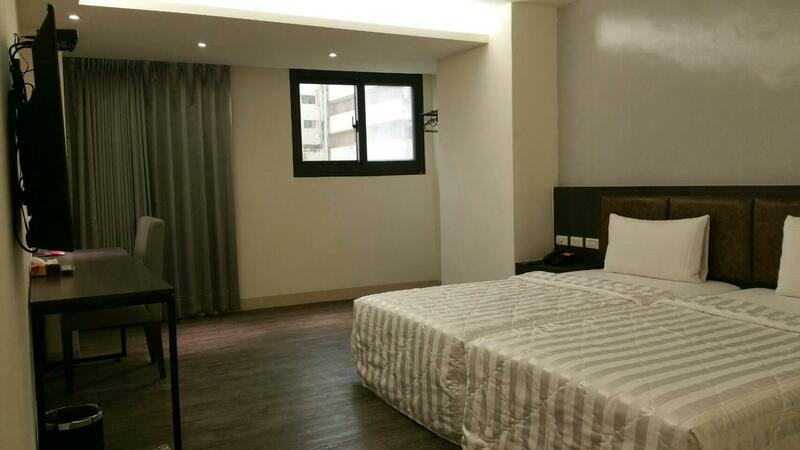 Located in the lovely area of Sanmin District, Da Chien Hotel enjoys a commanding position in the shopping, sightseeing, restaurants hub of Kaohsiung. From here, guests can enjoy easy access to all that the lively city has to offer. For those of you who want to venture out, Sunfong Palace, Sanfong Jhong Street, Hanshin Department Store are just some of the attractions available to visitors. Take advantage of a wealth of unrivaled services and amenities at this Kaohsiung hotel. A selection of top-class facilities such as 24-hour room service, free Wi-Fi in all rooms, private check in/check out, taxi service, express check-in/check-out can be enjoyed at the hotel. Da Chien Hotel is home to 27 bedrooms. 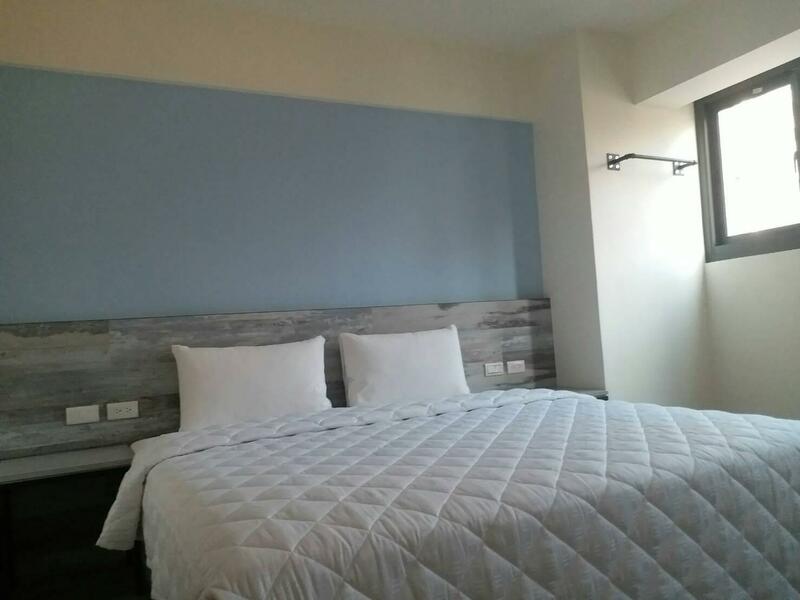 All are tastefully furnished and many even provide such comforts as television LCD/plasma screen, internet access – wireless (complimentary), non smoking rooms, air conditioning, desk. Besides, the hotel's host of recreational offerings ensures you have plenty to do during your stay. 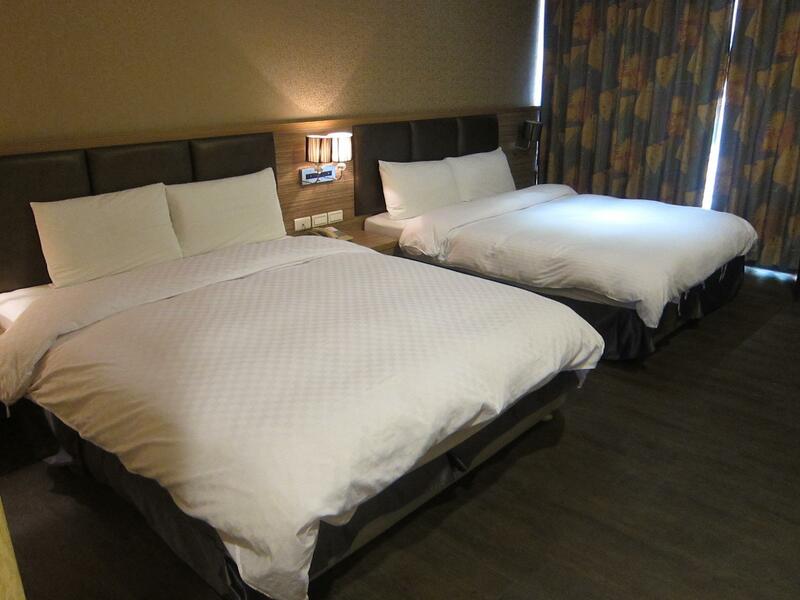 Da Chien Hotel is your one-stop destination for quality hotel accommodations in Kaohsiung. Room is big & bathroom is very big but just hv 2 port Socket for charger. No mirror inside the room just hv at bathroom. Night time the outside the room very noisy & upstair room always move this move that uncorfortable room. I ask reception to stop make noisy at the end also same. The room size was big, the hotel was easy to locate and the location of the hotel was good. When my friends and I arrived at the hotel, we expected nothing much since it was a 2 star hotel. Upon entering the room, we were surprised by the room. It was better than what we had imagined. We had booked the Quad room with tub. The room was spacious and the bathroom was clean. The room service was good. The lady even helped to fold our clothes. The only setback were the few power sockets available for usage. 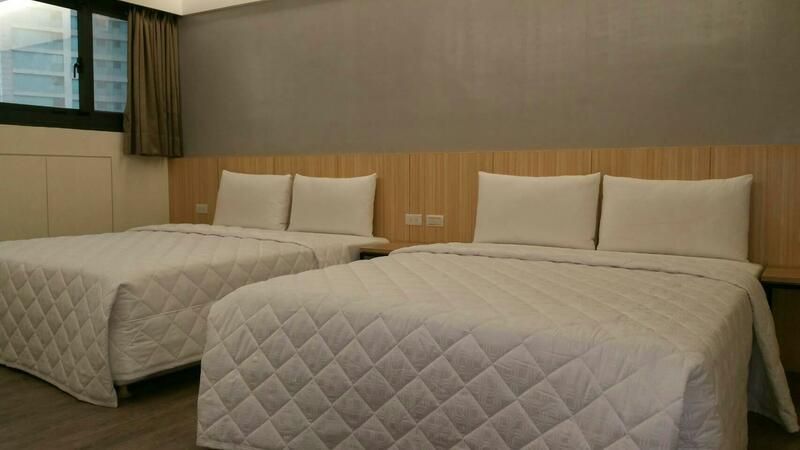 Simple hotel that you can rest after a long day of exploring but it is around 10 minutes of walk from the nearest train station (Formosa Boulevard Station). Has the basic toiletries, fairly clean (cleans room everyday) and helpful staff even though their english is very limited. The only problem is the scary people downstairs who I think are working for a sketchy hostess bar or club downstairs. They were intimidating and not so friendly especially when you're checking in during the night time. They had the janitor answer the phone during off hours and she came off very rude. I don't think they have any trained staff there. The lobby is so small and stuffy with broken things laying in the corner. But the rooms were okay and the bathroom especially was very nice and spacious. The toilet was very big. The hotel is just one floor. The receptionist and the hotel is on the same floor. During morning period, usually there will be no staff at the receptionist area. Appearance looks like budget but the room was not bad. The hotel is located at 4th floor of the building. The entrance to the hotel can be confusing but we were able find with the help of our guide. The rooms are big and value for money but the bathroom was full of water after shower. No proper housekeeper of room before we check in. We have to request for additional tower/pillow after we have paid extra. Air conditioning was not functioning well in one the family room. Located on 4th floor of old building, may be mistaken as a love hotel but it's far from that. Hotel looks old and dim and musky with wood smell. Seems like visiting an old castle with a croaking door master greeting you and you live in one of the vacant huge rooms along the corridor. Can shoot a ghost or detective story there.. It's not a sleazy place but if you like retro furnishing, that will fit you well. Big room that oversees a balcony that you can't access from the room.. Toilet looks old but clean. 10 min walk frm the station. A little far for peeps who shop a lot and accumulate baggage.. Nice overnight stay..
the da chien hotel is an easy 5-10 minute walk from main station and easy to find. there is food on the side streets and on the parallel street - lots of options that are really close. also if you are up for a walk you can get to many places just by walking, otherwise the subway is close by. the staff was very friendly upon arrival and throughout our stay. the rooms were perfect for our travel, not a 5 star out of budget place, but not a bad place. the rooms were comfortable and big. upon arrival they gave us a better room with a huge bathtub without even asking for it. overall is was perfect for the 3 nights we were there. Location is quite good. People are nice! ive stayed quite many hotels in kaohsiung and other areas in taiwan. i stayed here this time because of my friends' budget is really limited. the hotel is okay considering its price. 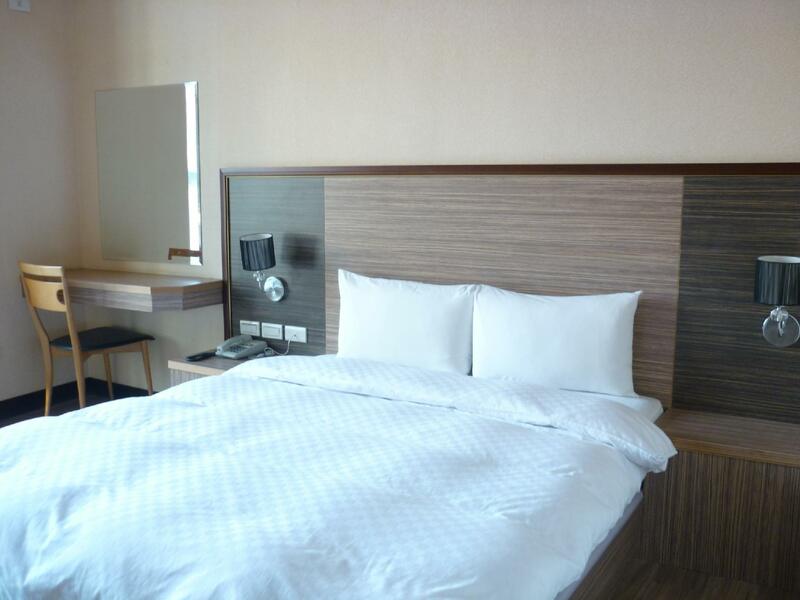 but you definitely should not compare this hotel with other 4,5 stars hotels in kaohsiung coz you will be disappointed by the hotels outlook, cleanness and staff performance. however, if you go clubbing or busy shopping till late night, and you just need a place to stay, this hotel maybe the place to stay. if you wanna enjoy your stay at hotel, go for the other hotel.....it should be a smart choice. Da Chien was what I expected to find. I jus needed it to sleep and explore the city and it was worthy for the price. The rooms are very spacious although the big window can't be opened and you have to use aircon (it gets very very hot). The hotel located at the heart of Macau city centre, many restaurants, shops and casinos nearby within the walking distance (5-10mins). The hotel room is clean & tidy, also the reception is very nice too. We went to Kaoshiung for Chinese New Year and since most hotels were full we booked a room in this hotel so as to have a place to stay the first night. When we arrived we saw that the hotel was on the fourth floor of a shabby building. The woman at the reception desk gave us a dirty key and showed us to our filthy room. As we stepped in we smelled a strong whiff and saw the most disgusting hotel room we've ever seen in Taiwan. The walls were yellow and moldy, the chairs had a layer of dirt through which you couldn't see the pattern of the cloth anymore, the bed stunk, the floor was sticky and the curtains were so dirty you couldn't tell what color it was originally. The woman proceeded to tell us that the duvet was folded on a corner of the dusty T.V. stand and that water had been provided for us. My husband went to check out the balcony which was basically a long corridor-like open area that connected to every other room on the same floor. Of course this part of the hotel was as dirty as the rest, if not worse. The hotel is in a building at the fourth floor. They just speak chinese or chinese, not even one english word. The room is small, the king size bed is 120 cm large, so for two very thin people or only one. The bathroom is big but old. The rooms don't look like the pictures at all. I was very disapointed. No breakfast. The only positive point, it's very near (7 minutes by walk) from the station and the mrt (metro) To expensive for what you get ! No wifi, and the hotel is very old fashioned. Do not have any expectation set at all for this hotel. Booked this hotel as all others were not available anymore. I would not consider it the next time I'm in Kaoshiung. Beds were so-so. Japanese way of just the mattress laid on the floor. Aircon was ok but old as well. Located on Level 4 of a residential building. Nothing much below. But this hotel is used for some night activities, if you know wheth I mean, with old uncles selling the services below.Location is around 10-15 minutes walk from Luhe Night Market and 15 minutes walk to the railway station and metro as well. Close proximity to train station and popular night market, spacious room for the low price we paid, friendly service from the hotel staff. The hotel is about 10 mins walking distance to Kaohsiung main train station. It's located at the back alley of the main roads but we didn't feel unsafe walking to the hotel at night, which is a plus point. This isn't a fancy hotel and is located in the forth floor of a 6-storey building (old). The exterior looks dodgy and gives an impression that this hotel is used for certain "business" but for us it's just a short stay and we didn't mind what's happening in the hotel as long as we were not disturbed. The staff was kind enough to give us a better room with bathtub (we booked the one w/out bathtub) when we checked in, which was a plus point. If you're here for a short stay and don't mind the surrounding environment, I'd certainly recommend it as it offers the basic amenities that we require.